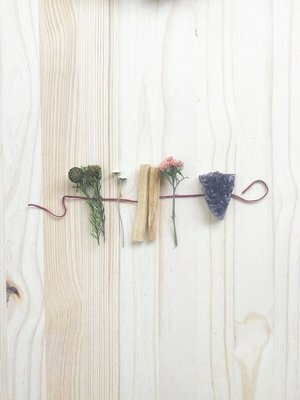 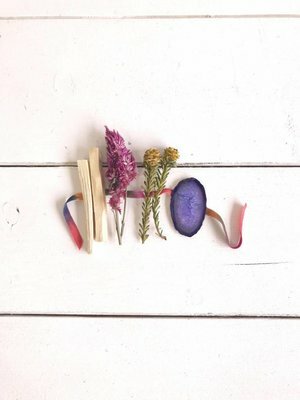 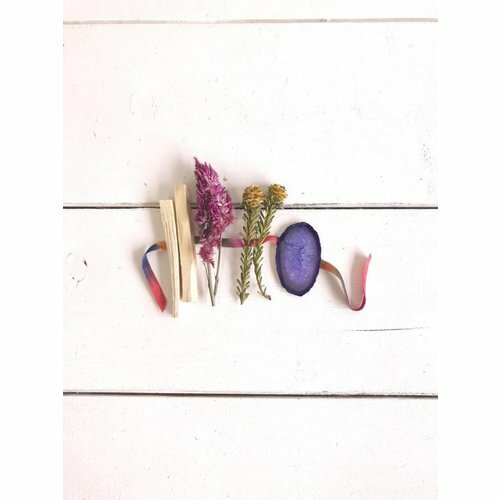 PALO SANTO, AMETHYST, LOCAL STATICE, TORTUM FEMALE, AND DRIED VALLEY BUTTONS WRAPPED UP IN A PRETTY VINTAGE RIBBON. 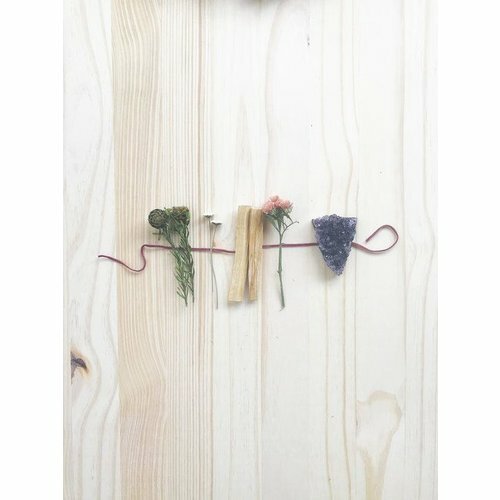 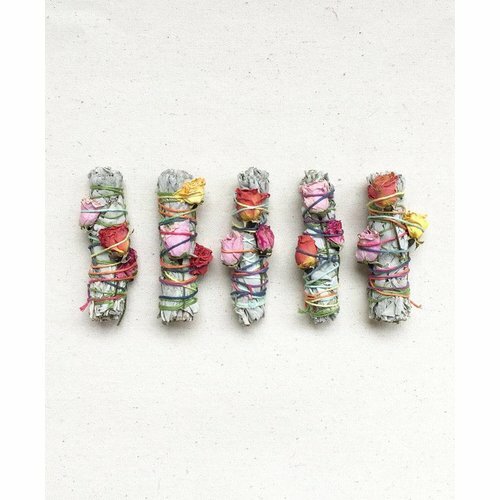 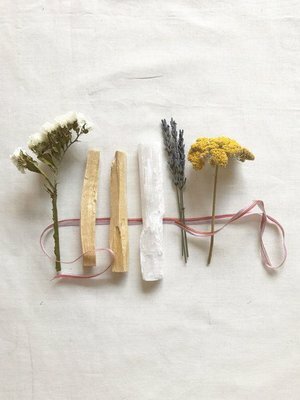 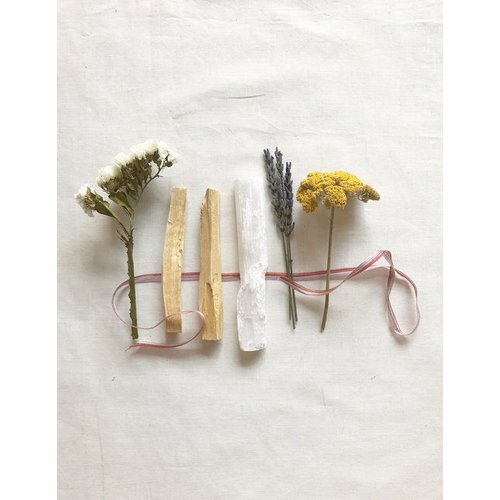 Three inches long smudge sticks and are hand tied with vintage cotton floss and three spray roses. 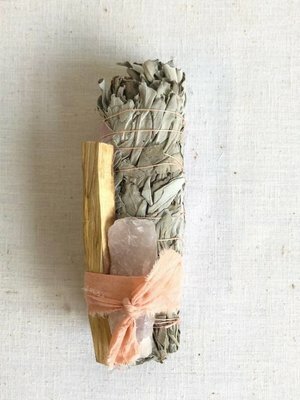 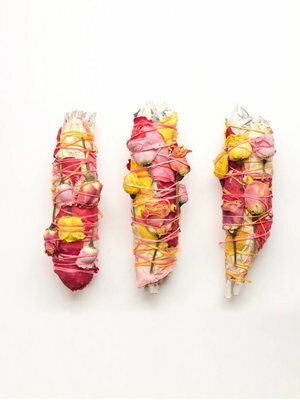 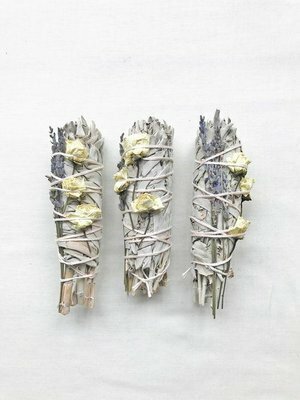 WHITE SAGE BUNDLED WITH LAVENDER AND THREE WHITE ROSES- WRAPPED UP IN VINTAGE PINK AND WHITE STRING. 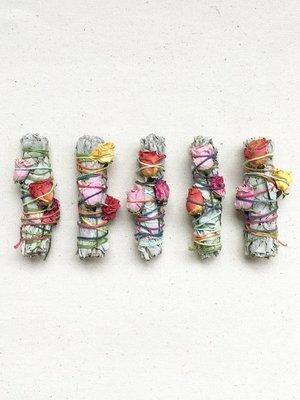 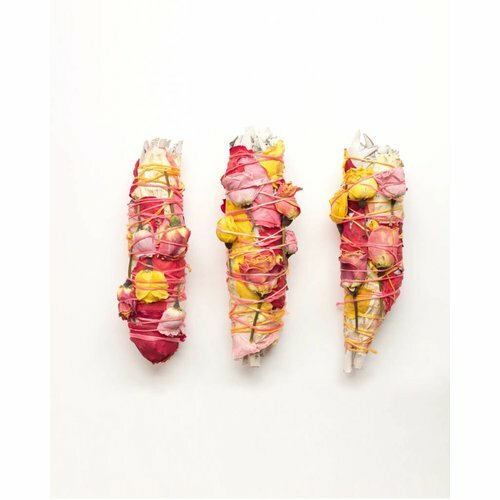 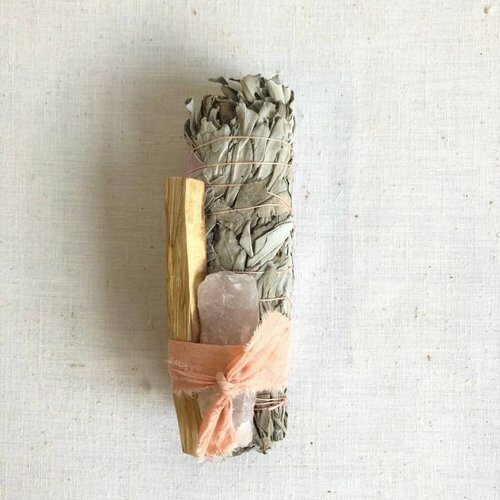 ethically sourced white sage, rose petals, palo santo and rose quartz wrapped up in a vintage fabric. 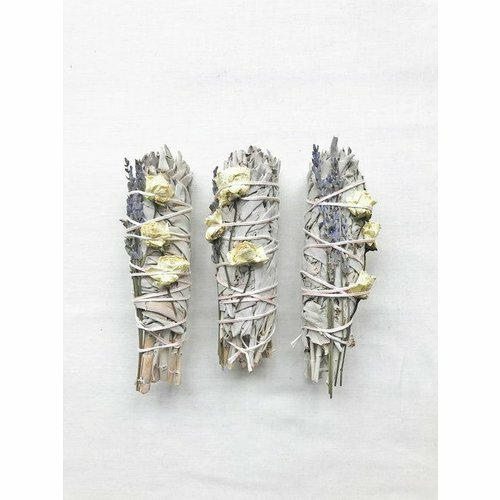 agate, palo santo, celosia, and golden conebrush wrapped in beautiful vintage ribbon.